Pep Guardiola is, it’s fair to say, a pretty intense man. Sometimes too intense, and you wonder whether it becomes counterproductive at times, whether he has his players wound too tight. That impression was strengthened by Bernardo Silva, speaking after the victory over Everton on Wednesday night. It’s worth remembering that if Liverpool had beaten Leicester, then City would be only two points behind, still with a third of the season to go. It wouldn’t have been an absolute calamity, but Silva gives the impression that City would have regarded it as such. All of which contributes to the sense that emotions could be running a little too high, that they perhaps are not following the old sporting adage of not getting too giddy after wins, but not too low after defeats. It might mean City put extra pressure on themselves to get results, particularly when they play after Liverpool, as they do this weekend, against Chelsea. Another psychological element to consider is that it was against Chelsea, earlier in the season, when City’s aura of domestic invincibility was punctured, not exactly outplayed but outfoxed. If nothing else, it will be fascinating to see how City’s collective mentality copes with these varied pressures this weekend. It says something about how people can overreact that Liverpool drawing two games — not even losing, just not winning — can be regarded as the end of days. Or at least the end of their title challenge. 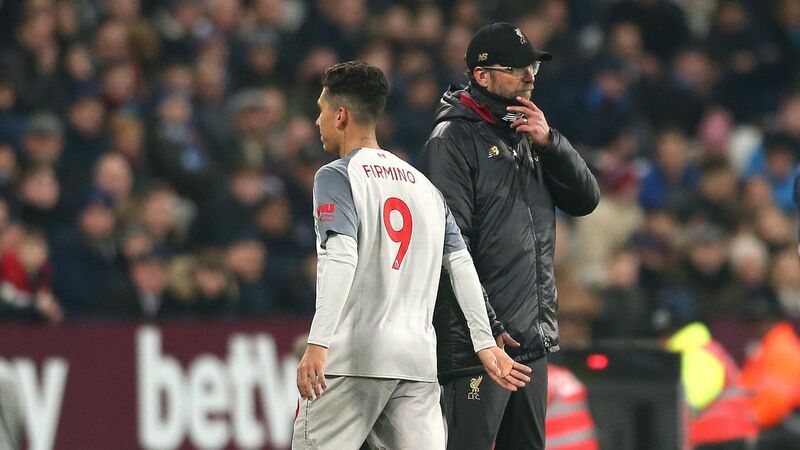 Really, draws against Leicester and West Ham — two sides who seem to raise their game against the big boys this season – represent little more than a blip, and at worst only a hint towards the notion that Jurgen Klopp’s team are scared, or freezing in the face of potential success. It will remain a blip if they don’t beat Bournemouth this weekend, but victory will set them back on course, signal the end to the blip and stop it turning into something genuinely serious. They are level on points with Manchester City and have a game in hand: now is not the time to panic. The sooner they start winning again, that panic will get further and further away. Extraordinarily, you have to say they are. And they could be even further in it by the end of this weekend, because they’re in the middle of a relatively friendly run of Premier League fixtures, which continues with a home game against Leicester on Sunday. They’ve already (admittedly sometimes not convincingly) taken care of Fulham, Watford and Newcastle in recent weeks, and after this one face Burnley. For a man who seemed to make a virtue of saying virtually nothing in his early months at Arsenal, Unai Emery’s words about his side’s struggles on the road were pretty interesting this week. Arsenal last recorded an away league win in November, collecting just two points from the last available 18. Addressing this issue, Emery didn’t actually say his team’s problem has been complacency, but he might as well have. To suggest his players have been underestimating their opponents this season is fairly startling, and perhaps hints at some deeper problems. Those problems will become all the more pronounced if they can’t win at Huddersfield on Saturday. The symbolism would almost be too great for Everton to make a significant decision on Marco Silva’s future, should this weekend go south. They scrapped so much to free their manager from Watford that, in the event of defeat this weekend, to Watford, they couldn’t possibly sack Silva. It would be just too humiliating for all involved. But should that defeat materialise, things would start nudging towards that eventuality. There are plenty of caveats to excuse Silva. He has an imbalanced squad. His theoretically better players are out of form. He doesn’t really have a top-class, specialist centre-forward. More and more questions are being asked about Jordan Pickford. But the nature of Everton’s performances in the last couple of months transcend that: they have been predictable, limp, seemingly unmotivated and unable to perform the basics. Much more of that and the “big bet” Everton took on Silva, according to majority shareholder Farhad Moshiri, will lose.